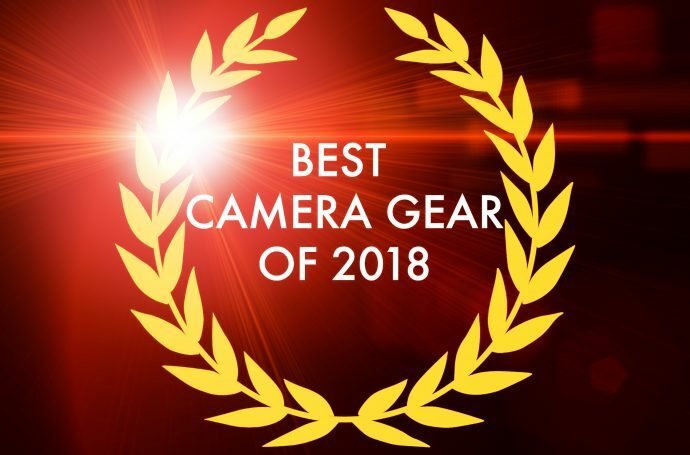 Zacuto are affiliates of this website, any purchases through the links help keep the site running and help fund things like those epic camera reviews I make! Please read my ethics statement here. 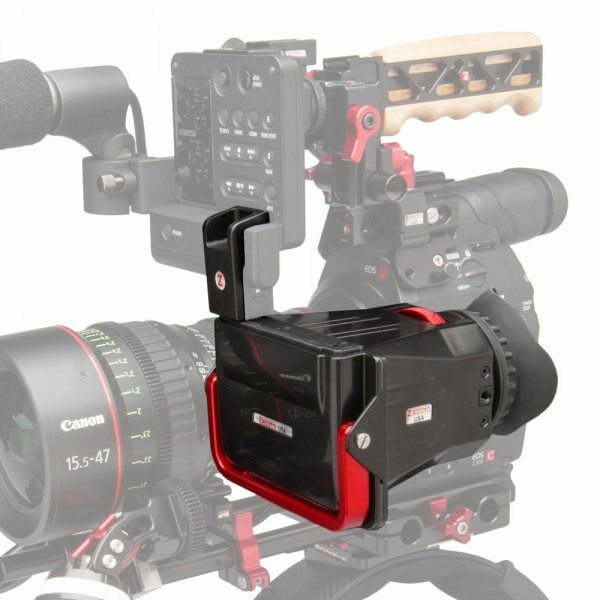 This post reviews the C300/ c500 Z-Finder from Zacuto plus the new handle system as well as the Blackmagic Pocket Camera Z-Finder and also looks at the Kickstarter project C-Cup for the C100. 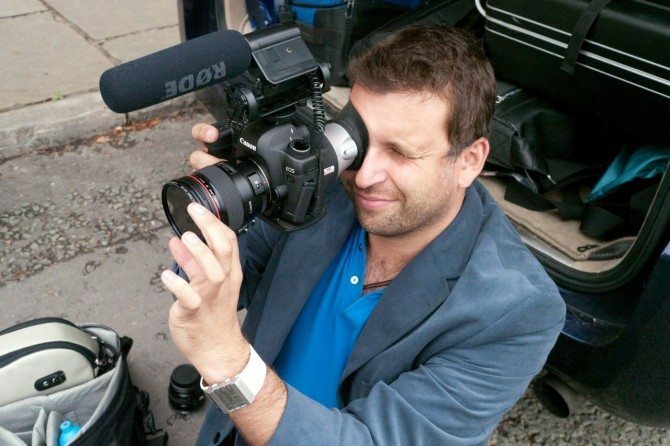 When Zacuto brought out the first Z-Finder for the 5DmkII almost 5 years ago, suddenly we had a hope in hell of getting our shots in focus. Since then they have refined it, brought out the cheaper junior, and of course added their EVF for it. 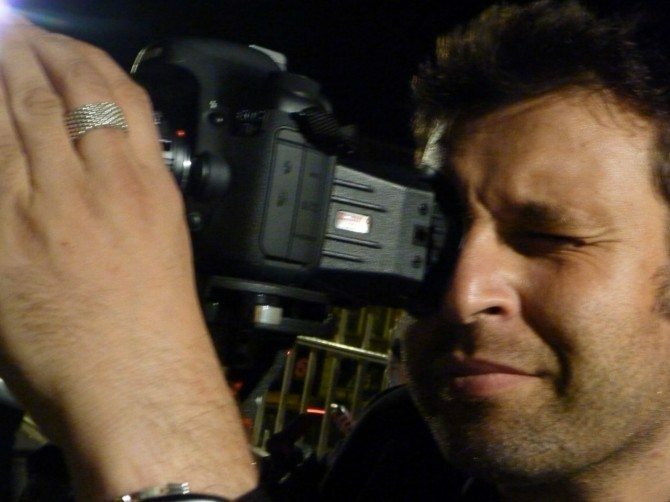 I still use the Z-Finder Pro on the back screen of my Canon 1DC all the time. It’s an essential piece of kit that I cannot recommend enough. 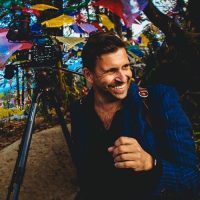 Many people have, like myself, largely moved onto large sensor video cameras, and we have been stuck with substandard resolution electronic view finders. 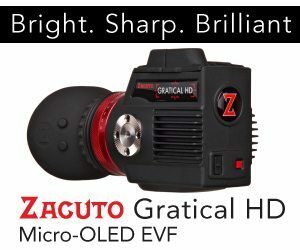 So for many cameras like the FS100, FS700 and others, we have been using 3rd party EVFs like Zacuto’s one. Way better than the built-in ones. 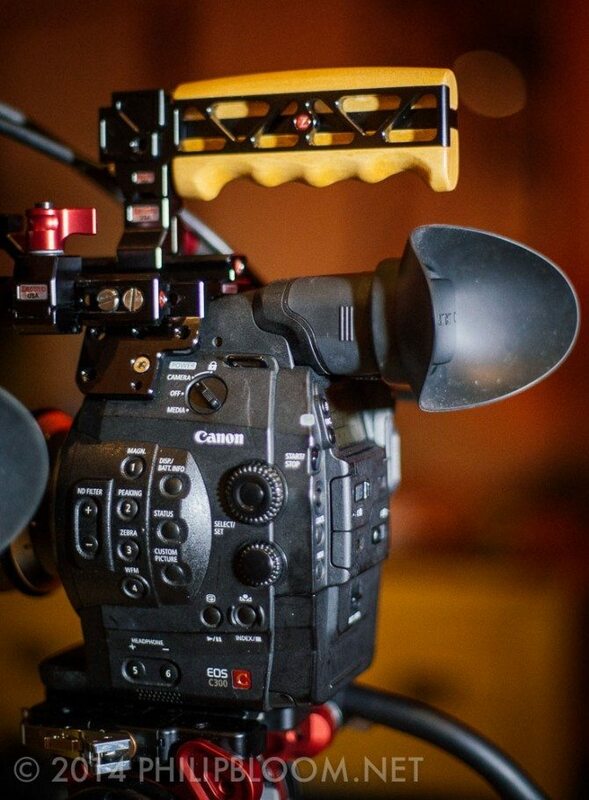 The C300, though, has an “OK” EVF. Not brilliant, but usable, and you can just about get accurate focus with it. It is at the back of the camera though, so it doesn’t work for a lot of people’s configurations. I often use it when handheld without a rig, which I like to do quite often, as rigs to be totally frank are a pain in the arse. They are, for the most part, a necessary evil. With most large sensor camcorders not being shoulder mounted, we simply have to get rigs for a lot of handheld work. The camera has an odd design. 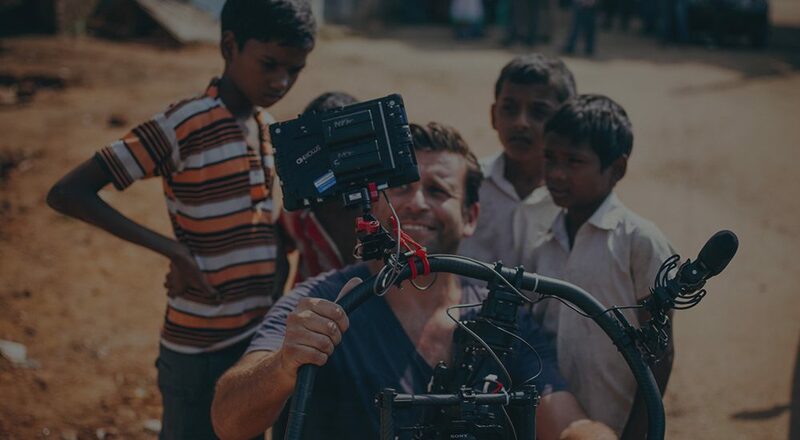 The LCD and XLR module sits on top of the camera, either straight into the cold shoe or onto the handle’s cold shoe. By which point, it gets quite high. The screen though is really rather good, with an impressive resolution of 1280×960. 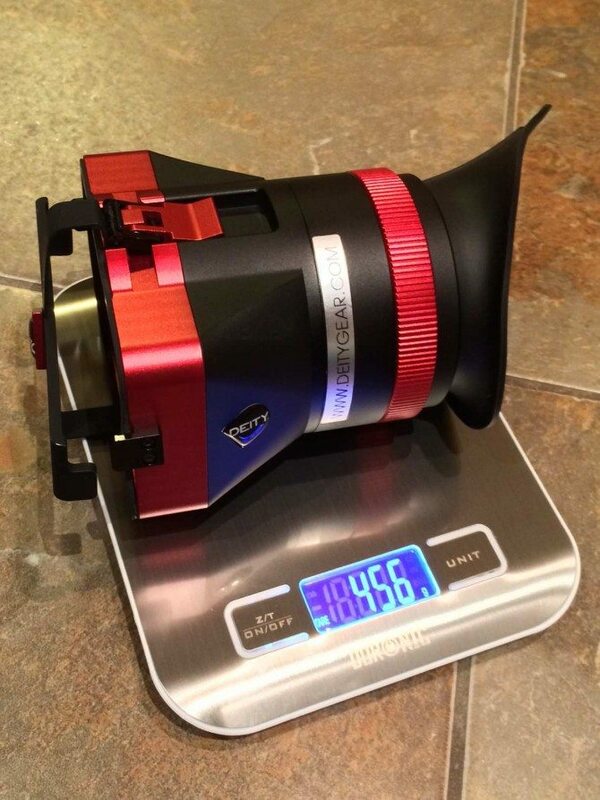 Compare that to the Zacuto EVF’s 800×480 and you can understand why it’s always been such a shame they never brought out a Z-Finder Loup for that screen. It would be incredible! Deity thought the screen should be used like this and brought out the terrific Mira around a year ago. Pricey at around $695 plus shipping, but incredibly well made and with terrific optics. 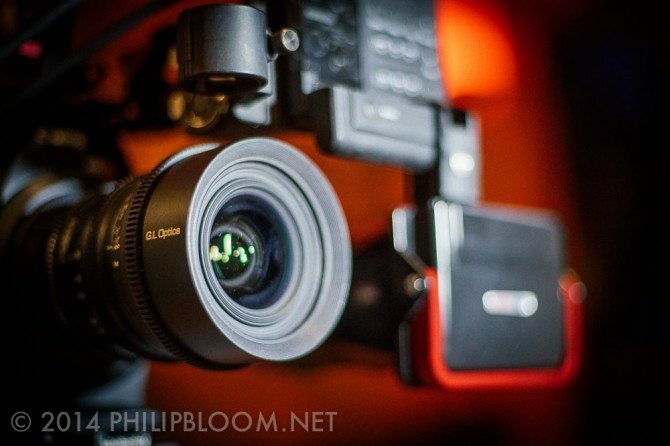 With this mounted on the C300 screen, I suddenly had an incredible EVF. The best I have ever used. It had a couple of issues that bugged me. The mounting clip meant you could close the screen properly, and when mounted with the handle which is for handheld use, it rubbed ever so slightly on the body…other than that it is excellent. 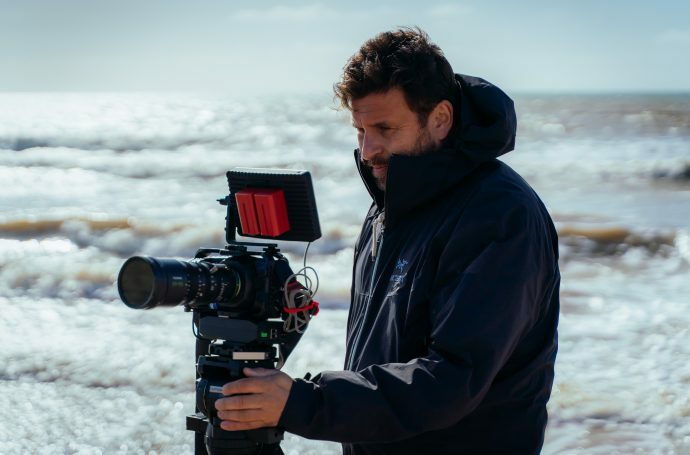 Zacuto have recently announced their new Z-Finder the C300 and C500 (They already have a special one for the C100 as that screen is a different size) IT’S ABOUT TIME!! They are little bit late to the party, although the party only had one guest and that was Deity! Quite why it’s taken 2 years to come out is beyond me. 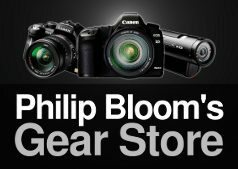 This camera has become one of the most popular cameras out there by far. It’s used everywhere, and once you have used their new Z-Finder and new handle system, you will have wished, like me, that they had brought it out back when the camera came out…mind you, the handle system wouldn’t have been like what they have released, as their designs have changed quite a lot in the past 12 months or so. Much more daring and innovative! Replacing the existing handle set-up is a smart move. It was actually the biggest issue with the Mira really, that rubbing on the body. There are different options for this from them. There is a handle with an additional cold shoe on it and one without, also in a light or dark wood. 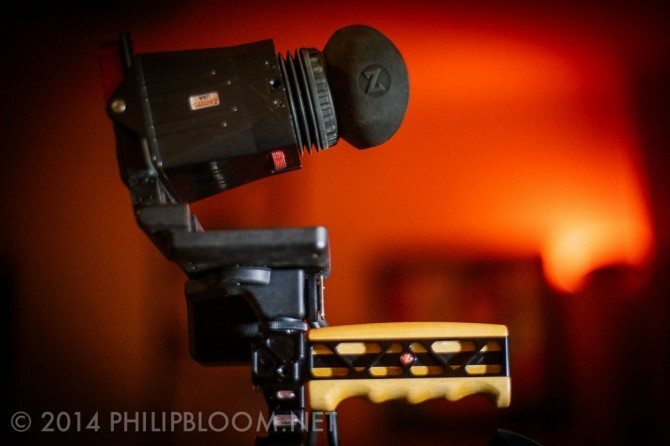 You can also get the mounting kit which lets you position the Z-Finder where you want it to be, within reason. 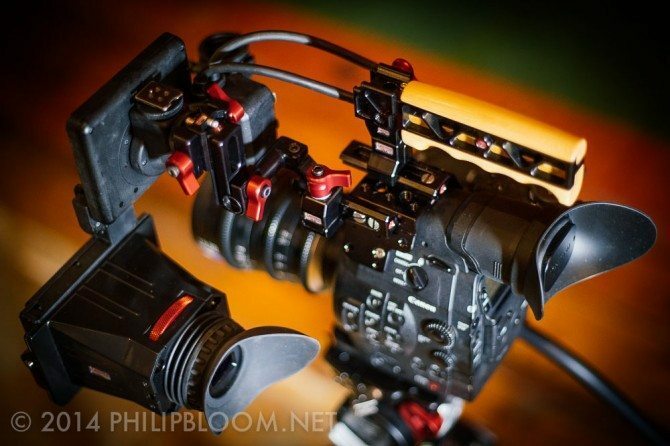 Zacuto stuff is great, as it’s all so modular. You can add or take away bits to make it work exactly how you want it. You aren’t limited to how they have designed it. 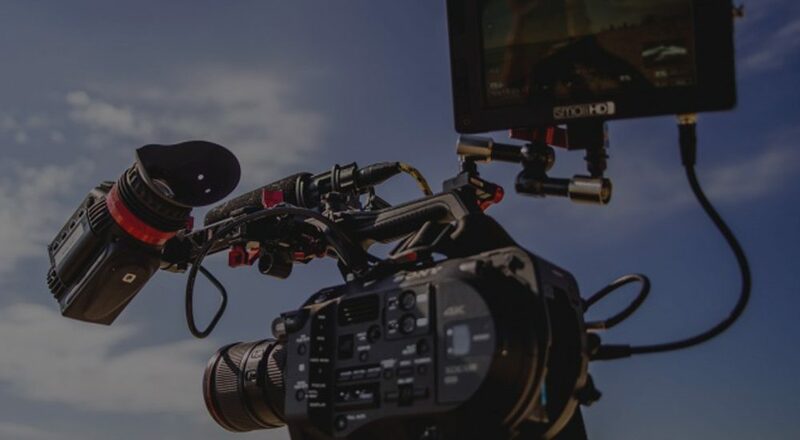 For example, their main set up for handheld is for their excellent “RECOIL RIG” but of course many people don’t have this or maybe want to shoot without a rig. With some fiddling, I was able to get it set up just right for that. The way the Z-Finder goes on the screen is way better than the Mira’s. It has a very clever sleeve that you slide over the screen. 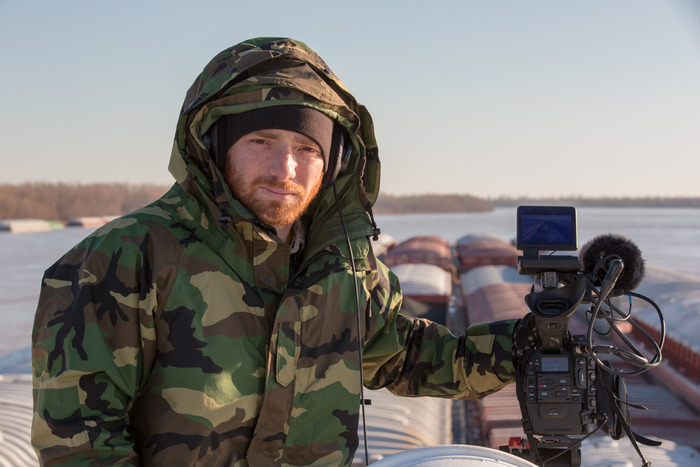 When you want to pack the camera away, just pull the sleeve off. It also is hinged, so when you want to just look at the screen and not use the Z-Finder, it’s very simple! You can get the screen/ Z-finder into so many different positions. Very adaptable. The included monitor lock clip. This is simple but actually really important to make sure that screen stays rigid. The Z-Finder looks like an over-sized DSLR Z-Finder. It has a similar magnification factor to the C100’s, one of 1.8x. The Mira is 3X and to be honest a bit too much. 1.8x is just right to see all the image. It includes 4 interchangeable anti-fog glass diopters, 0, +1, +2, and +3, plus the red dial gives you fine tuning. It’s very well made and solid like the DSLR one. It’s plastic unlike the Mira which is, as they call it “high tech metal alloy”. 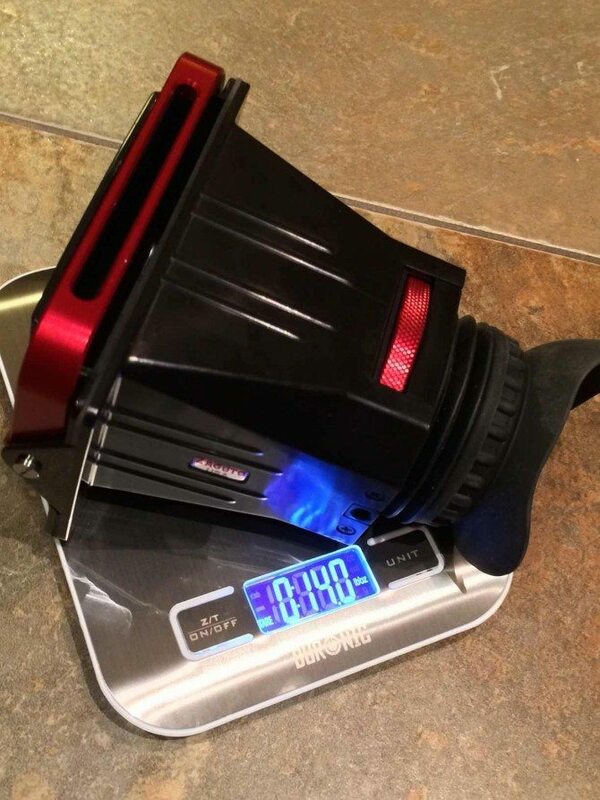 In the below video from Zacuto, Steve says it’s like 3 or 4 times heavier. It’s not. Despite one being plastic and one metal, they are surprising similar in weight. If you don’t count the sleeve of the Z-Finder, it absolutely is lighter but you have to. I weighed them both to see. As you can see below (despite only saving photos of different measurement formats), they aren’t that different. The Z-Finder is about 13% lighter than the Mira. That’s 396 grams in metric!! 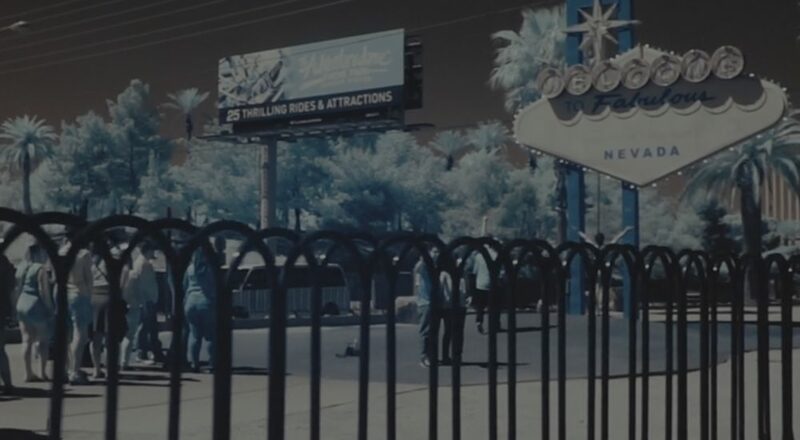 Optically, I really couldn’t see much difference at all. Both are superb. 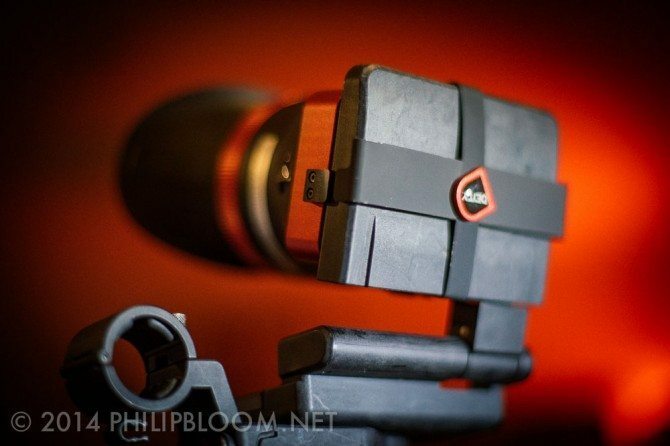 The Zacuto one has a better mounting system with the sleeve, is a bit lighter, and is 30% cheaper than the Mira. 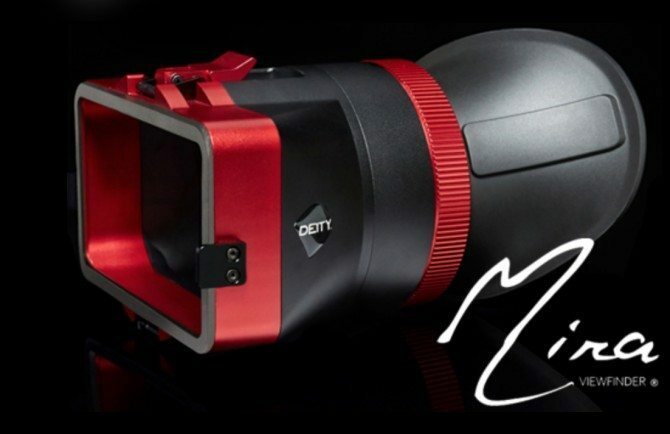 If you have a Mira, it’s pointless buying the Z-Finder, apart from that nice add on by Zacuto to make the screen rigid when you push your eye up against it. But the handle and mounting arm are essential purchases for existing Mira owners as it gets past that rubbing of the camera issue that I hate! As I will finally be getting my C300 back from Canon after a lengthy repair and hefty bill, it will be great to use the Z-Finder with it. Yes, I will most likely choose the Z-Finder over the Mira simply because its mounting system is better. The Mira looks nicer to be honest, but that’s a minor consideration! 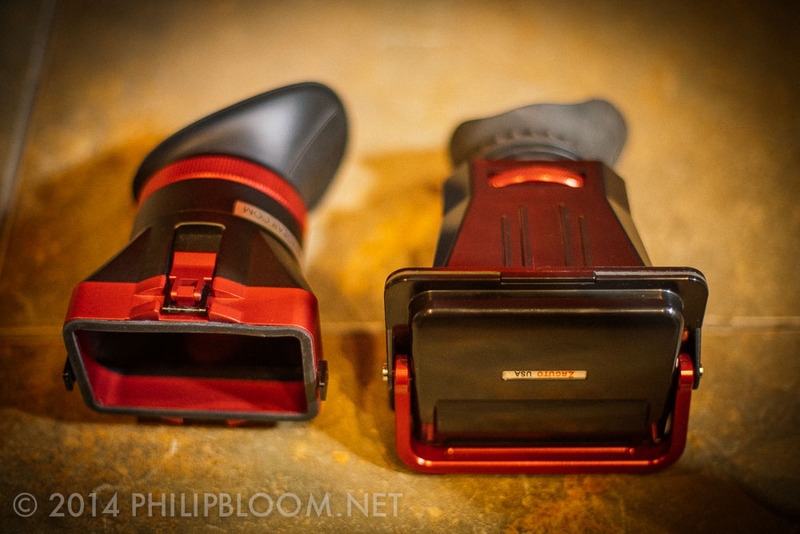 Zacuto Z-Finder and Mounts for the Canon C300 and C500 from Zacuto on Vimeo. I have used the original one with their frame for the 1DX / 1DC. It’s a bit too small, as you can’t see the whole screen, but better than nothing. 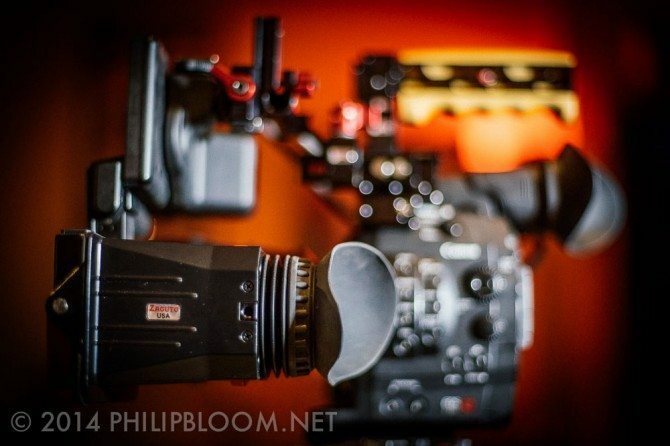 Zacuto have made a wider one designed specifically for this camera. Not much to say really, other than it works great. 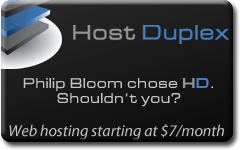 Is damn cheap at $165 and really is a must buy. It fits perfectly, has the perfect magnification and is super light. The only downside is actually the screen of the camera itself. It has a weird texture going on, a bit like watercolour paper when magnified. It’s totally redesigned, this Z-Finder. Based on the junior to keep it really light it has drop in diopters like the C300 one, but no wheel. You get 4 diopters included with it, 0, +1, +2, and +3. 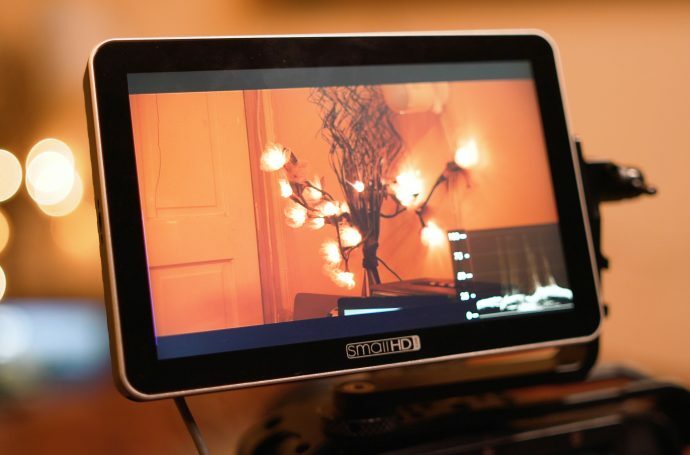 As the screen isn’t touch screen, unlike the bigger Blackmagics, there is no problem with accessing controls, as they are all buttons on the camera. So as Rodney Charters, ASC says below. It’s essential for handheld shooting. For rigs? I would look at an EVF really, but for simple handheld shooting this is perfect. You can order it by clicking the banner below or here. 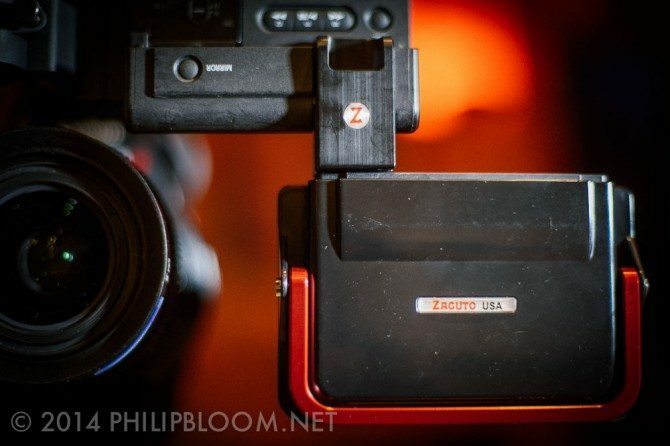 First Look at the Zacuto Blackmagic Pocket Camera Z-Finder from Zacuto on Vimeo. 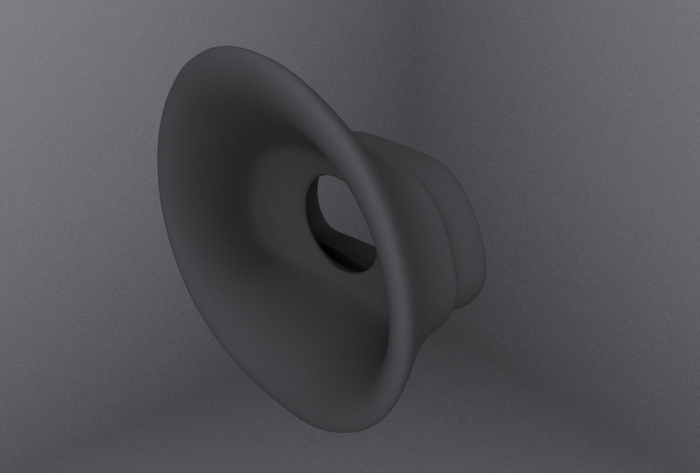 Last but not least is a little Kickstarter project run by a C100 owner for C100 owners…the C-CUP!! 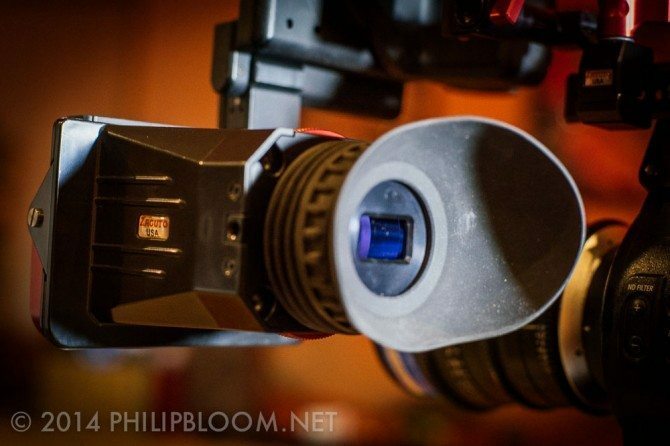 The eye cup of the EVF is practically non existent! 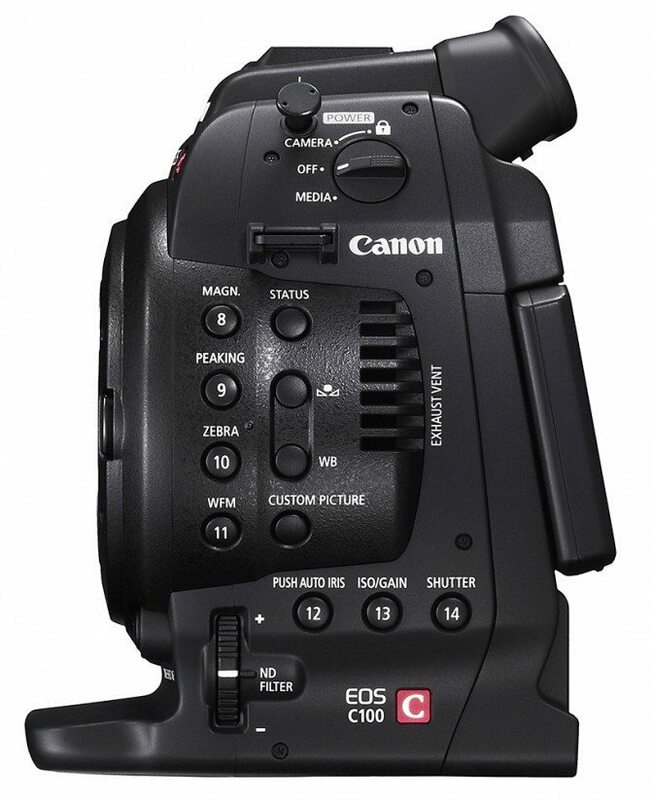 One of the compromises made to make the C100 cheaper than the C300 was giving it a much worse viewfinder. 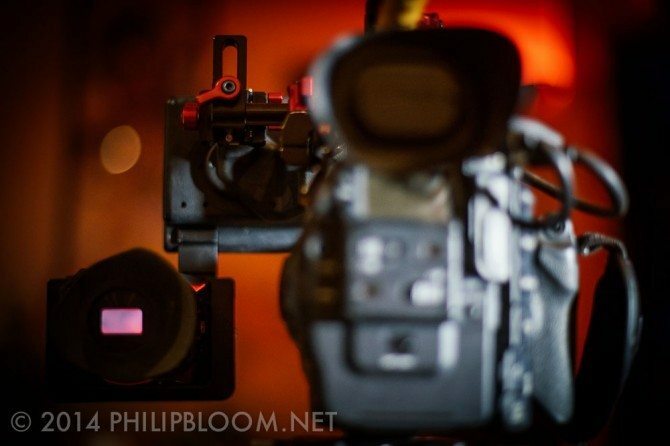 The C300 one, as mentioned above, isn’t brilliant but it’s usable. 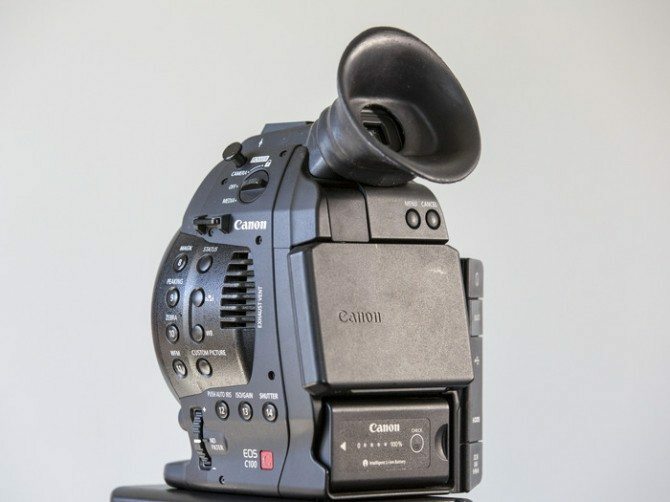 The C100 one, though, is terrible. Part of the issue is actually the eye cup. The angle, position, and lack of adjustability make it close to useless. 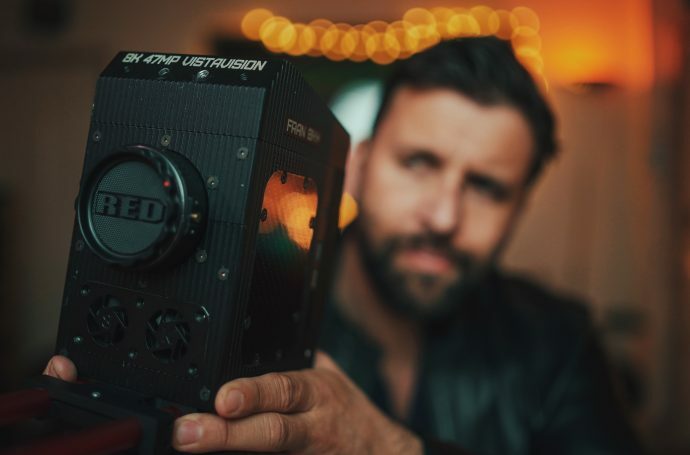 C100 shooter Andrew Miller from Texas wanted to use it, and as nobody else was making what he needed, he has decided to simply use Kickstarer to help make a product he needs. 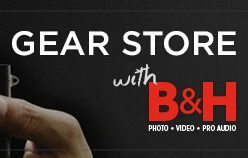 He is not planning on becoming a camera accessory manufacturer. This is simply a one-off. A Kickstarter for a very niche market…but it’s already been funded, so there we go! $40 gets you a WAY more practical eye cup replacement. 269 people as of writing have backed it, with only 3 days to go you had better get in there now if you want one!! 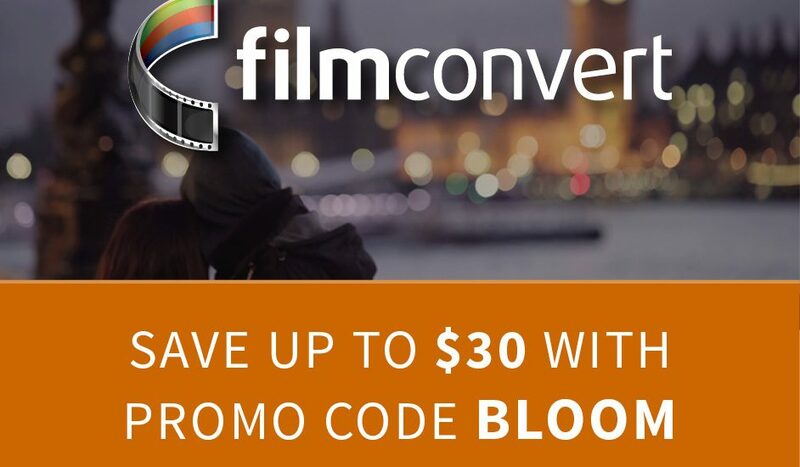 Click the banner below to go the Kickstarter page. I have not actually tried it so I am going on faith here, but I have backed it and look forward to getting one myself! 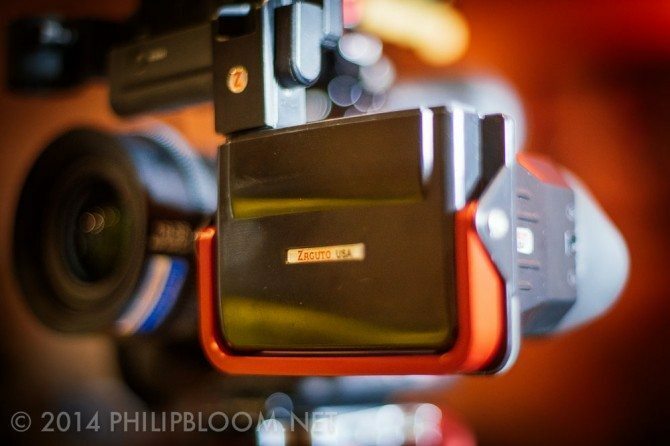 If you want a REALLY good EVF then the Zacuto C100 one is fantastic. It’s what I use as you can see below. 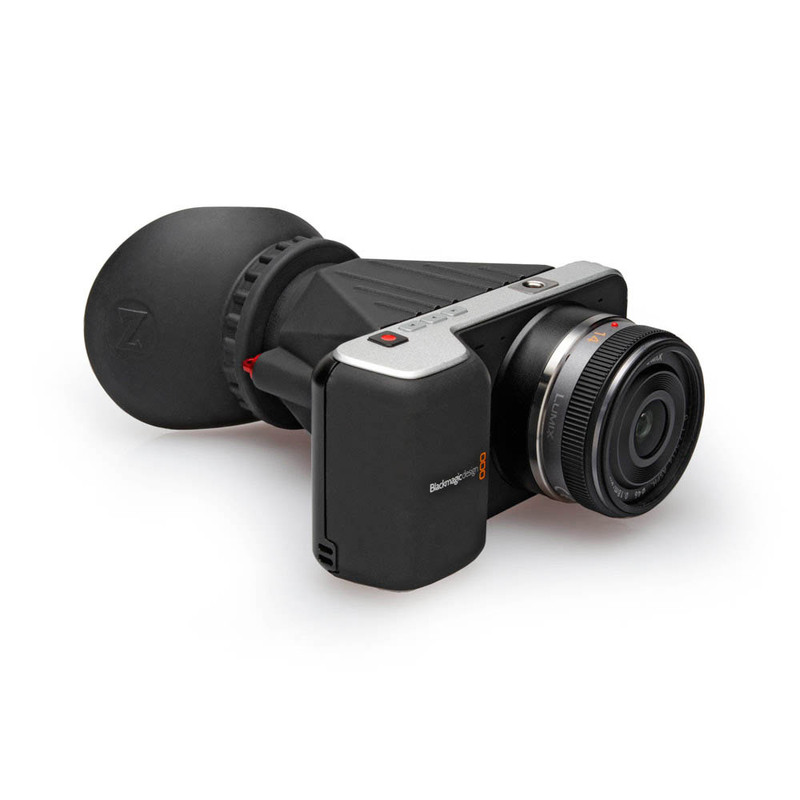 But of course it’s more than $40, it’s $365 as it includes a mounting frame and a special Z-Finder Pro, not a Jr and sticky frame like the Blackmagic one. Andrew Miller wanted a C-Cup! !